Aleksandr and his team at Citowise are providing free and secure cryptocurrency wallet and payment solutions for businesses and private deals. My name is Aleksandr Kents. I am one of the founders of Citowise. A few years ago I started learning about cryptocurrencies and the Blockchain and started participating in different ICOs. After losing significant funds due to my wallet getting hacked, I decided to do a startup which would become the safest solution on the market to store crypto assets. Citowise is a multi cryptocurrency wallet which allows to store over 40,000 different ERC20/ERC223 tokens, BTC, ETC, ETH and other coins. Other key feature includes participating in ICOs within 3 clicks, sending and buying cryptocurrency, an easy to use converter calculator and exchange cryptocurrencies on secondary exchanges. Currently, it is the only wallet in the world that has a complete integration with hardwallets like ledger and trezor, which means maximum security for the user. 3) Since the beginning of 2018, the crypto market has faced many downward trends, Why are you not discouraged by this, what is your inspiration for this Crypto Startup? We witness the hard fall of the cryptocurrency market but it does not scare us because we are building infrastructure for the entire crypto community to be used regardless of the current price of cryptocurrencies. Our goal is to make Blockchain and its use, simple, transparent and understandable for the everyday person. But it’s not only simplicity we are after, our most major concern is security. We are building a bridge between the world of Blockchain and the real world. That is why we do not concern ourselves with the short-term price swings or volatility in the market. We see the long-term opportunities and potential of this technology. 4) What are the Major Citowise features and Services? The Citowise wallet is a multi-cryptocurrency wallet for private and business customers which empowers users to access mainstream adoption and use of cryptocurrencies globally. Citowise is one of the few wallets that is both safe and decentralized as it does not keep private user keys. This positions the Citowise wallet as a means of accessing and transacting on the blockchain. A completely unique and secure multi cryptocurrency wallet that integrates with Ledger and Trezor. The Citowise wallet never transferred backup phrases or private keys to any server or other devices. The only exception is during the process of backup performed by the wallet owner and it is accompanied by corresponding security warnings. This sensitive information is stored on a device in an encrypted format and it is protected from unauthorized access. The citowise wallet can guarantee the security of the wallet to be at least the same as the device it is operating on. Citowise – “Making Cryptopayments a part of everyday life” . Citowise wallet keeps and sends your funds safer with your mobile phone from anywhere along with exchanging among cryptocurrencies instantly. 5) What makes Citowise unique from other crypto projects in the market? Secure and private – A completely unique and secure multi cryptocurrency wallet that integrates with Ledger and Trezor. 6) Tell us about the Citowise ICO; what are the benefits of holding CTW Tokens and how do we invest? The Citowise ICO will give us the needed capital to added certain features which will catapult our wallet to the number one wallet in the industry in terms of security and features. 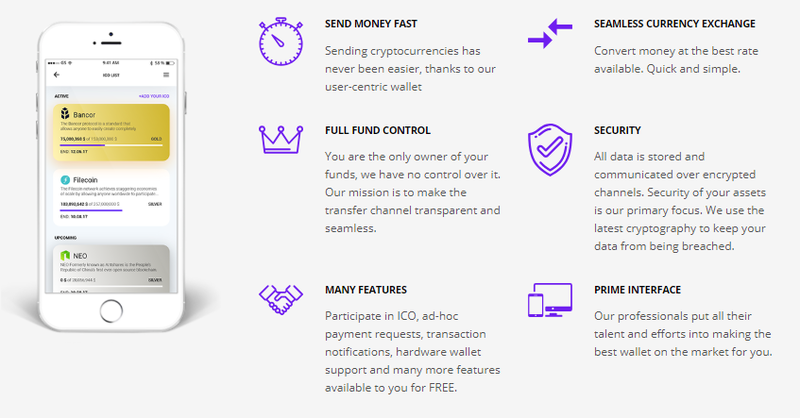 We will add the ability to purchase cryptocurrency directly from inside the wallet and the ability to sell cryptocurrency at any time at a friendly rate for the user. Furthermore, the sold cryptocurrency will go on the user’s debit card which he will be able to use anywhere just minutes after he sells his crypto. One of the main features which will be absolutely unique to our wallet will be the ability to purchase a real company remotely using cryptocurrency from 28 different jurisdictions. This opens the borders to do business anywhere from anywhere. 7) What are some of the challenges you are facing executing this project and what is next on your roadmap? It is always challenging to keep the status of one of the most secure wallets in the world when there is a massive attempt to hack crypto related assets worldwide. We invest a lot in our security and constantly remind our users of its importance. Furthermore, we are making a project on a global scale and therefore there are many legal requirements we have to abide by in many different countries which result in massive paperwork and administrative costs. However, we believe in thinking big and that is why we also believe we are up to the task to go past the red tape and deliver a user-friendly solution to everybody. The very next thing on our roadmap is integrating the selling crypto to debit card option. We are working with VISA, Mastercard and Union Pay to make this solution available in the majority of the world. 8) Do you have any strategic partnerships for this project you will like to share with us? Yes, we have some very serious partnerships and advisors in our company. Right now we are negotiating with VISA regarding the debit card solution and we are also close to a deal with one very large Forex trading platform. Furthermore, we have a very major partner in Seoul as we really believe in the Asian market. 9) Could you tell us about the Citowise major investors, advisors, team and customer support? 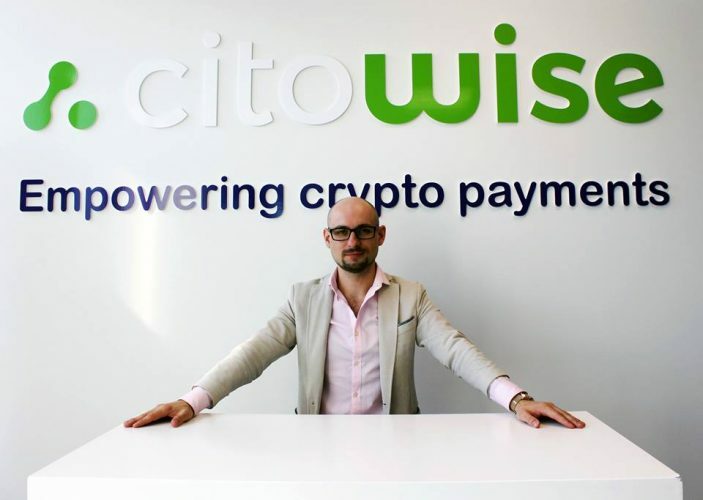 All of our team and advisors can be found on www.citowise.com We would not like to publically talk about our investors yet. 10) How Safe is Citowise, would you like to discuss your compliance and security measures? In terms of security, we think that our wallet’s full integration with hard wallets like trezor and ledger make it a maximum security cryptowallet. We consider being leaders in the market in terms of security. Stay tuned for plenty more announcements in the near future. Until then and as always, stay safe on the blockchain.